It was the end of another busy night at an event Ronni Kahn’s company had organised when Ronni began to despair. Once again, they’d over catered and food – good food –­ was being binned. Shaking her head as she tossed another untouched plate of food into the rubbish, Ronni lamented the terrible waste. Later, on the way home from another event, she couldn’t get the notion of the wastefulness out of her head. And she was just one company. Imagine how many other events companies, restaurants, supermarkets and cafes also ditched their unused produce. On a whim she decided to knock on the door of a charity that provided food to those in need. “How would you feel if I could bring you food?” she asked. 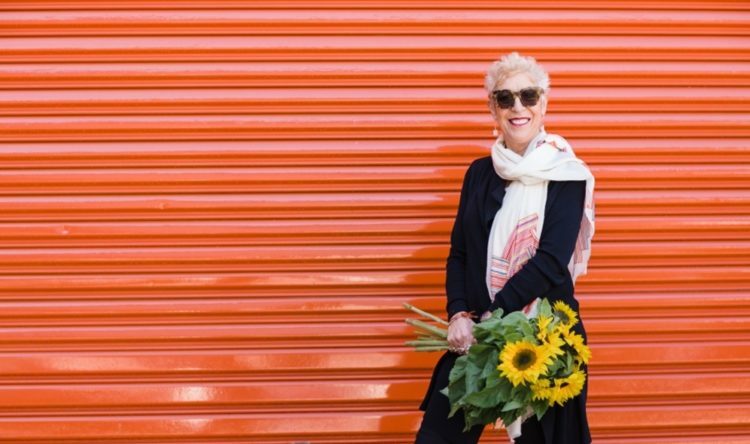 That question sparked a movement that saw Ronni launch the food rescue charity OzHarvest in 2004 – an organisation that has now donated more than 43 million meals to more than 800 charities and prevented 14,000 tonnes of food from going to waste. 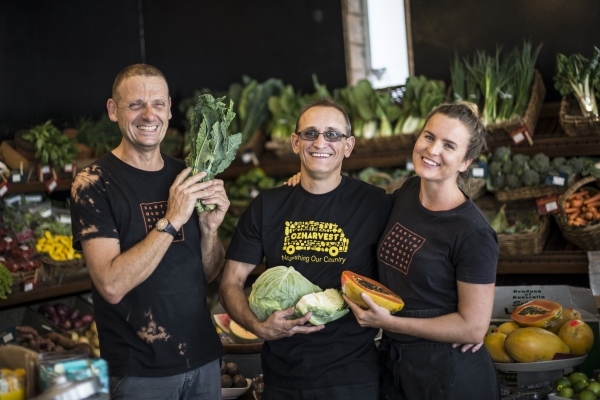 OzHarvest … has now donated more than 43 million meals to more than 800 charities and prevented 14,000 tonnes of food from going to waste. Ronni asked five other charities the same month, then another 13, then 25. Such was the demand that Ronni realised the potential in what she was doing. It also happened that she’d reached a point in her life where she was yearning for purpose. She’d emigrated to Sydney Australia from Israel to provide a secure life for her two sons. She’d worked hard to establish a successful business, to put a roof over their heads. And they were comfortable. But Ronni felt she had more to offer. Perhaps the food rescue could provide the sense of purpose she sought. 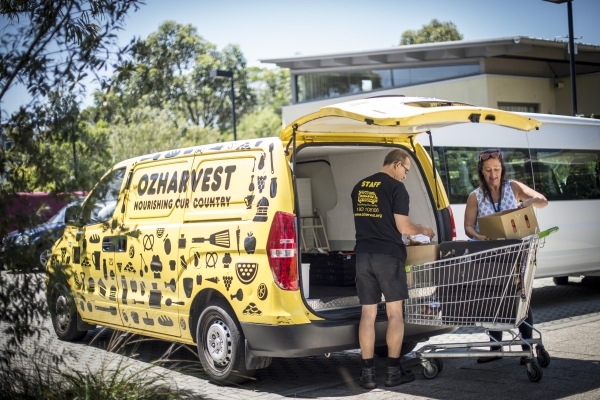 The Macquarie Group Foundation provided the seed funding to launch Australia’s first food rescue charity, and OzHarvest was born. Ronni started scouring food providers – fruit and vegetable markets, supermarkets, hotels, wholesalers, farmers, stadiums, corporate events, catering companies, shopping centres, delis, cafes, restaurants, film and TV shoots and boardrooms. She’d take their leftover food and prepare it into ready-to-eat meals. In the first month Ronni and a fast-growing team of volunteers delivered 8000 meals to 13 charities in Sydney, within a year it was 10 million meals and now, 12 years on, it has delivered more than 43 million meals in Sydney, Adelaide, Brisbane, Canberra, the Gold Coast, Melbourne, Newcastle, Perth and some regional areas. 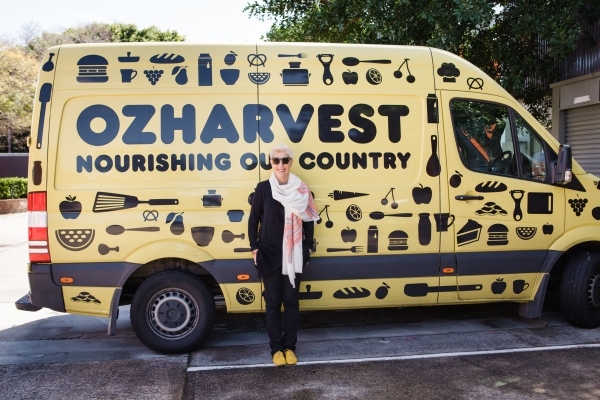 Ronni Kahn with an OzHarvest van. Not only has the charity prevented waste, it has also slashed the operating budgets of charities working to help the disadvantaged, and seriously improved the quality of food on offer. Today OzHarvest is also about teaching vulnerable people to cook for themselves in a way that prevents waste and nurtures their health. It also provides hospitality training to disadvantaged young people through its program Nourish.